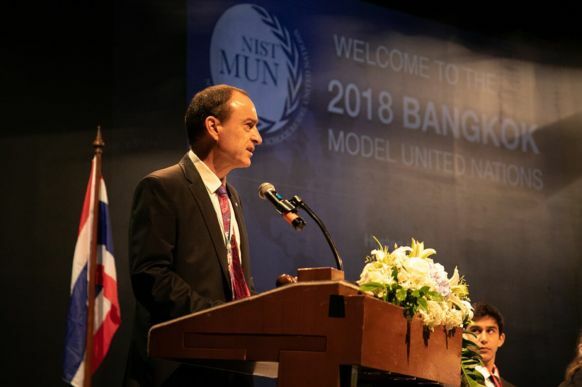 On Sunday, 7 October, 21 schools and 375 delegates from Bangkok, Pattaya and Hua Hin united during the 26th annual Bangkok Model United Nations (MUN) Conference to discuss, debate and resolve some of the world’s most pressing issues. Led by NIST student leaders, delegates converged in the Tantipipatpong Theatre to be inspired by year 13 Secretary General Ankita Brahmachari’s opening keynote address, which was live streamed on the NIST Facebook page. 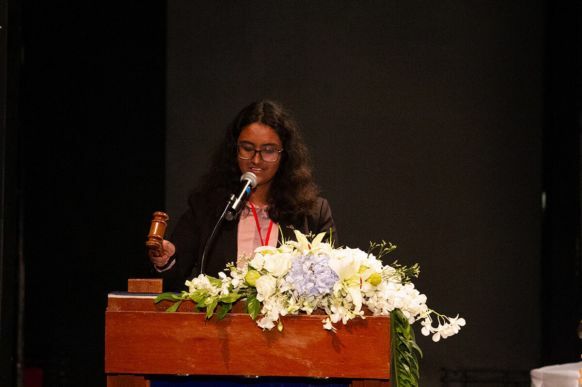 The address was followed by the formal gavel ceremony, where Parliamentarians Arisht Hadpawat (Year 12) and Aashna Kammila (Year 12) presented 26 chairs from nine different international schools their official Bangkok Model United Nations chair gavel. 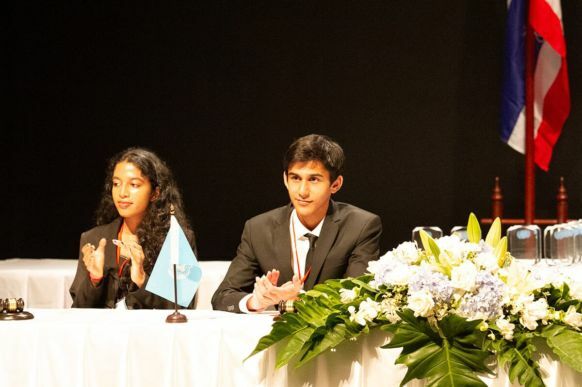 NIST student chair’s included year 13 students Nethra Swamy (Security Council 1), Kusuma Gosala (Security Council 2), Anit Kapoor (NATO), Sharang Sharma (ECOSOC 1) and Liam Hall (HRC 3), as well as year 11 student Kenshin Ueoka (DISEC 1). 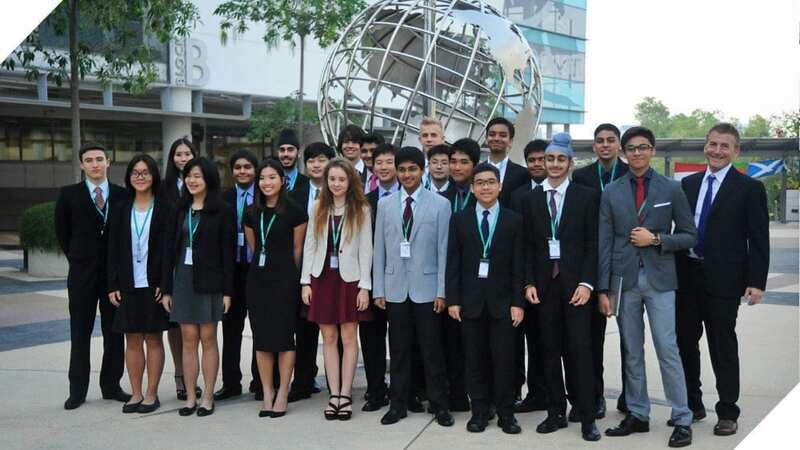 Deputy Secretary General Anushka Bhandari (Year 13) was Master of Ceremonies, while Deputy Secretary General Solveig Furberg (Year 13) led the 35-strong NIST student volunteer paging staff members who ensured a smooth running conference. After the opening ceremony, students proceeded to their committee rooms for role call, opening speeches and the lobby and merge process. During lobbying students forged their collaborative and consensus building skills while authoring resolutions which were debated in committee. Lobby and merge was followed by lively committee debates where students honed their diplomatic skills and practiced the nuances of parliamentary procedure. Fascinating issues such as “The question of addressing the militarization of the South China Sea”, “The question of privacy in the digital age” and “The question of measures to control hyperinflation in developing countries,” amongst others, were passionately debated. More than 20 resolutions passed in committee and students enjoyed learning in this authentic, highly motivating environment, making the event a resounding success. The day went by quickly, and the closing ceremonies confirmed the strength of our 60+ delegate NIST MUN programme. Eight NIST students were recognized for their exemplary performance, earning Best Advocate, Best Delegate and Best Chair awards. 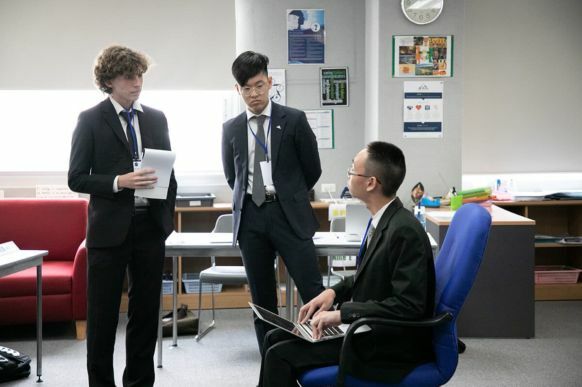 Year 12 students Minseung Kang and Alexander Templeton were awarded Best Advocates in the International Court of Justice. Year 13 student Kusuma Gosala was awarded an honorable mention as Best Chair. Year 13 students Samantha Atherton (China) and Madison Mackenzie (Germany) were awarded Best Delegate in ECOSOC 2 and HRC 1 respectively. 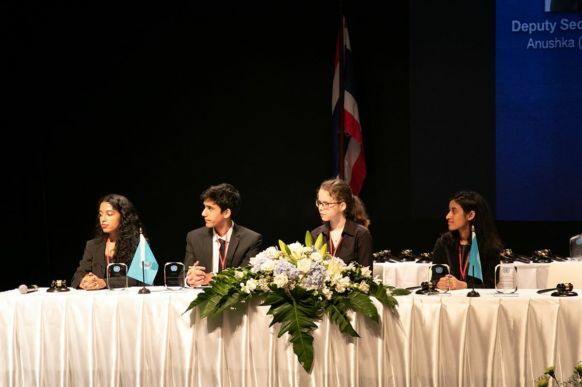 Finally, year 10 students Isha Banerjee (Saudi Arabia), Chikki (Arundhati) Iyer (Bulgaria) and Amelia Mackenzie (Venezuela) were awarded Best Delegate in HRC 2, SPECPOL 1 and HRC 3 respectively. A learning opportunity and conference like this would not have been possible without the incredible support from a variety of NIST departments and personnel. Special thanks to Khun Nirut, Mr. Penny and Mr. Coskinas for their support on behalf of the NIST MUN students. 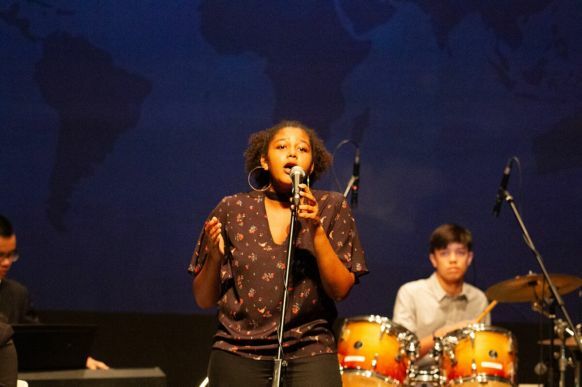 In addition, special thanks to Khun Amy, Memo Tejapaibul and the Thai music group for performing the King’s Anthem and Safi Badiane (Year 12), Doogi Suh (Year 12), Jason Jolink (Year 13) and Quentin Geoffroy (Year 11) for their incredible performance of Michael Jackson’s “Man in the Mirror” during the closing ceremonies. During the February holidays, many were at beaches, exotic countries or back home with their families. 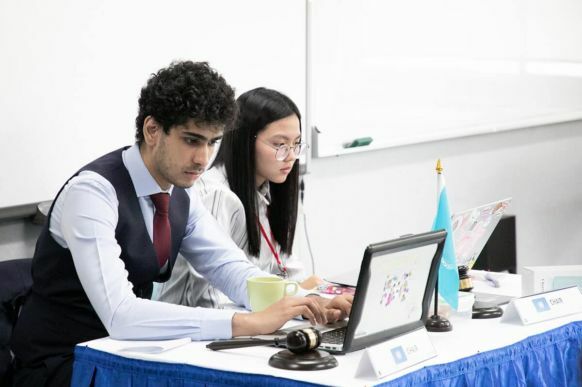 While others relaxed and sunbathed, 22 students from the NIST Model United Nations (MUN) team were working hard, preparing speeches and writing resolutions in anticipation of the three-day SEASAC Model United Nations conference from the 27th of February. 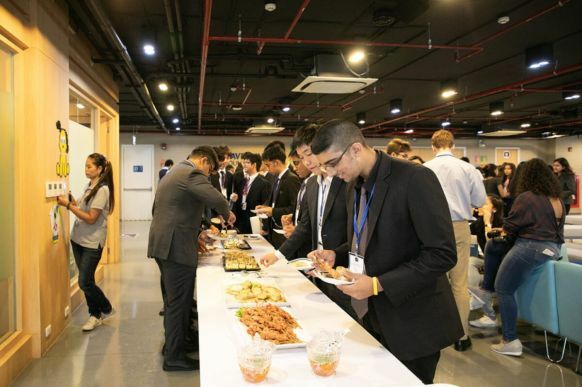 Students from almost a dozen international schools around the region came together to debate real-life issues while taking upon the perspective of the countries they represented at the United World College of South East Asia East Campus. We worked hand-in-hand to debate global issues, and created the best possible resolutions to address the most pressing, contentious topics in our world. 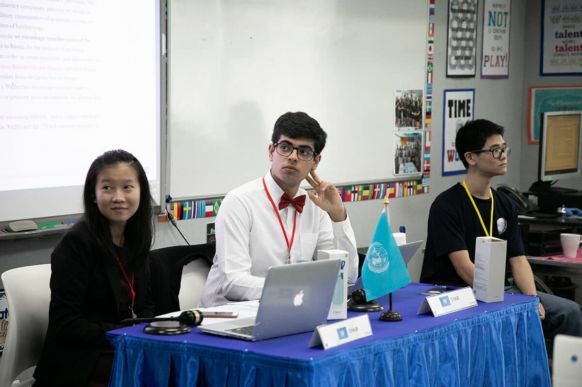 Unlike some other Model United Nations events that I have attended, the 2015 SEASAC MUN was an amazing conference, and students and teachers alike witnessed high-level, lively debate throughout. Our delegation consisted of students from Years 10 through 12, with MUN experience ranging from just a few conferences to as many as nine. This conference was a unique and valuable experience for all of us. 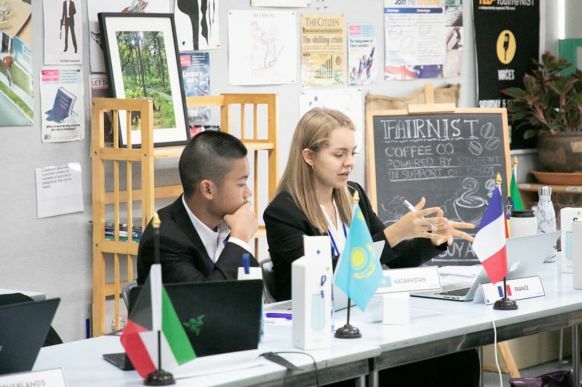 As one of the more experienced delegates, I learned to lead and drive the debate within my committee (the Security Council), as well as assist others. Overall, not only was SEASAC Model United Nations a great learning experience for all, it was also lots of fun, and was a great way to spend the February break. Thanks to our amazing supervisors, Simon Scoones and Zoe Perry, we were one of the strongest delegations at the conference, and ultimately made this a truly successful trip.